The Bega 77233/77234 bollard light LED presents itself with soft, rounded shapes and a rotationally symmetric light emission. The elegant bollard lamp is produced by the German manufacturer Bega which is specialised in developing durable exterior lights. The 77233/77234 LED impresses with a high protection degree and an outstanding quality of the materials used as well as their processing. Thus, the exterior light has everything it needs to render its service even at adverse weather conditions. This is ensured by a combination of cast aluminium, aluminium and stainless steel. Furthermore, the 77233/77234 LED is available in two different surface finishes and either with a screw-down base for mounting the bollard light on a flat surfaces, or with a galvanised steel spike for soft grounds. The circular light opening of the 77233/77234 bollard light LED emits glare-free light downwards around the luminaire. 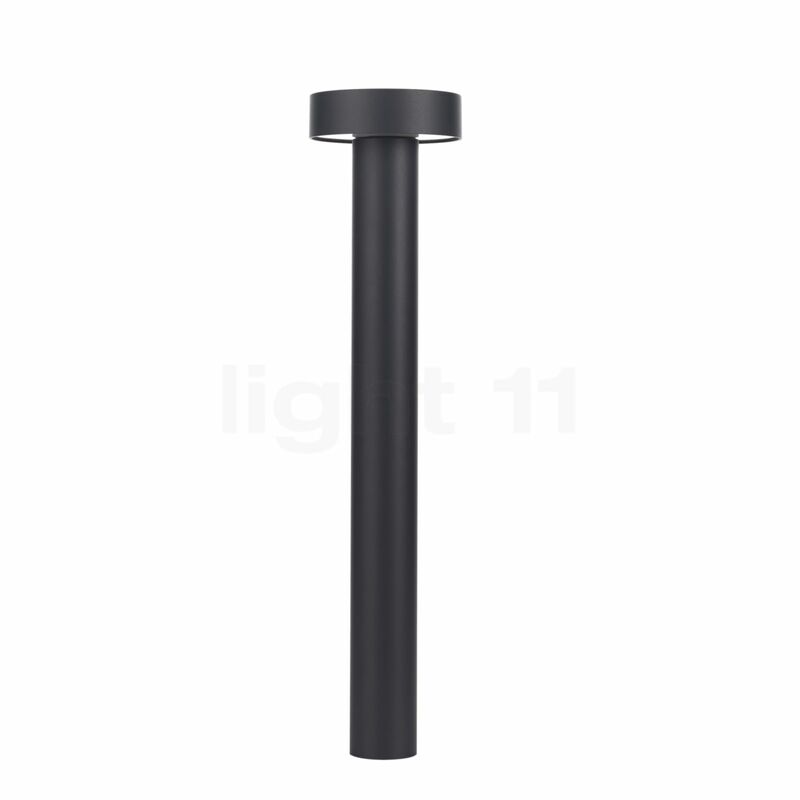 With a protection degree of IP65 (dust-tight and protected against jet water from any direction), the bollard light is ideally suited for the use in the outdoor area. The long service life of the integrated LED module enables long maintenance intervals. Furthermore, the pre-installed LED supplies 400 lumens at a power consumption of only 6.5 watts. With a light temperature of 3,000 kelvins, the 77233/77234 bollard emits pleasantly warm-white light. Tell other customers and us about your experiences with the 77233/77234 - Bollard Light LED ! Thanks to the special shape of the light opening of the bollard light, the light is cast evenly onto the floor area. This makes the 77233/77234 LED ideal as a path light for access roads. 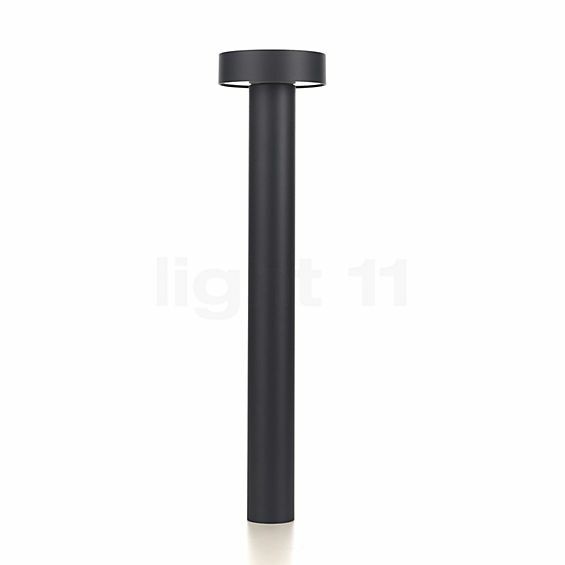 However, the bollard lamp from Bega can also be used to separate adjacent lawn or garden areas from passable areas. With the Bega 77233/77234 LED, you can increase safety in outdoor areas by revealing tripping hazards or obstacles faster and better.